Whaaaaaat! 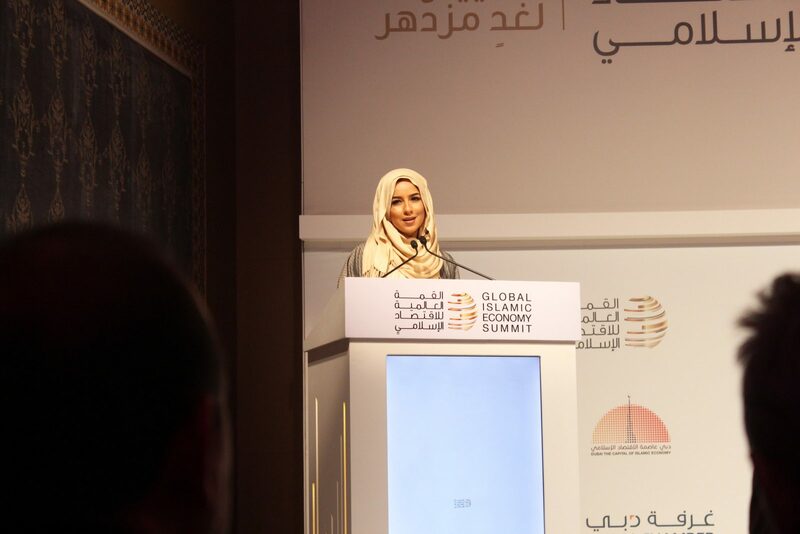 Am I really a speaker at The Global Islamic Economy Summit?!! Maan,I literally jumped for joy when I received this email, I called my mama to tell her and she was super happy and excited. Now the reason behind our excitement is that, when I was at college, they used to send us to that conference every year to listen and learn from the speakers because they’re the most successful people in the industry, and to be on the same stage 3 years later to share my story is just something else and I was so overwhelmed! So every panelist has to provide the audience with a small speech and mine was, so I went on stage, with all the confidence Allah gave me and said my speech: “I started blogging in 2013 because I wanted to inspire people, and I know that this might sound a little corny, but I genuinely wanted to inspire people. I wanted people to tell me that I’ve changed their lives or I changed the way they look at hijabis or I even made them wear one. And right now I get those kinda msgs almost on daily basis, and it’s just so overwhelming. So I started to notice that my social media followers and my website readers are increasing every day, and they are curious to know where I get my clothes and what to wear and stuff. And at that time, I used to always make my own clothes just for the sake of not finding what I want in stores, and I noticed that the clothes I make really grab people’s attention, so this is when I came up with the idea of making my own fashion line and trying to sell it through Instagram, the feedback was amazing, so my husband and I came up with another strategy, which is making a website and sell it online. My website is live for only 4 months now, we’ve sold more than 50,000 pieces and we have 400,000 visitors monthly! And I think being here today, is only a proof that I’ve succeeded!” . I looked at mom and saw her tears waiting on her eye door and my husband and sister were so proud. But seriously though, I love my fans and my followers and everyone support me so much because, ya’ll always the reason behind my success. Anyway, I know you guys really like my outfit that day, so scroll down to find the links to buy them. So I got this jumpsuit from www.vogacloset.com , my thoughts when it comes to the jumpsuit is that I like the material and the cut, the size was perfect and it was exactly as they mentioned on the website, but,, I don’t know if you guys saw my snaps that day, but there’s this choker attached to the jumpsuit that almost got me killed (not really though, I’m just a drama queen) anyway, I tried it on and then sat down and I was super uncomfortable with it and it was choking me! so I had to chop it off , you know, none can see it because I’m a hijabi, lol.